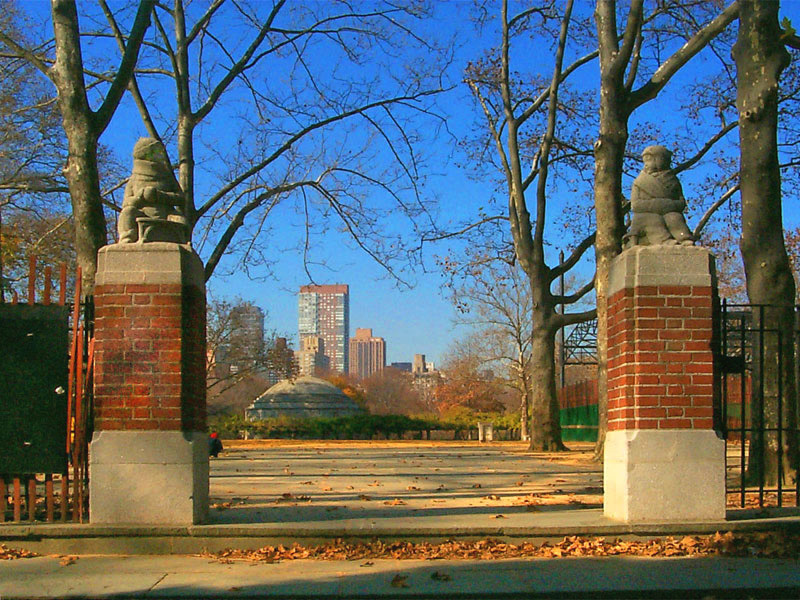 Miami In Focus Photo Gallery of the Snow Babies Statue E71 in Central Park. 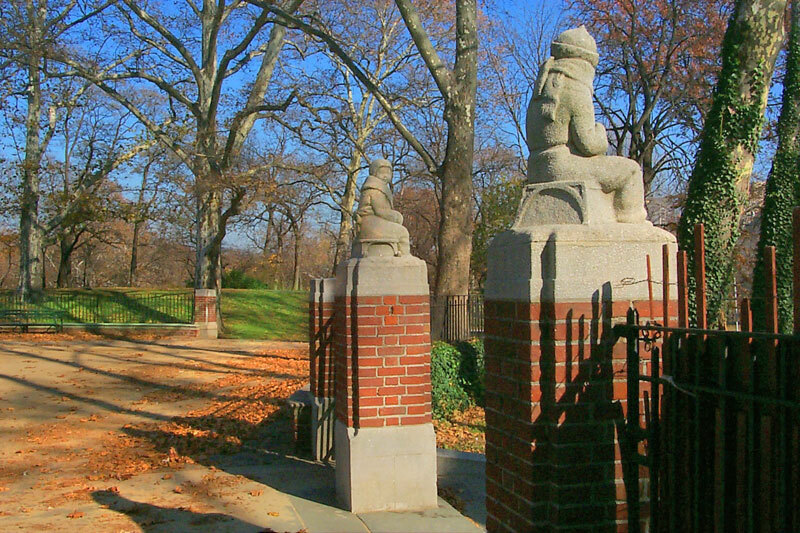 Sitting on pillars at the entrance to Central Park's Rumsey Playfield, are two small statues called Snow Babies. 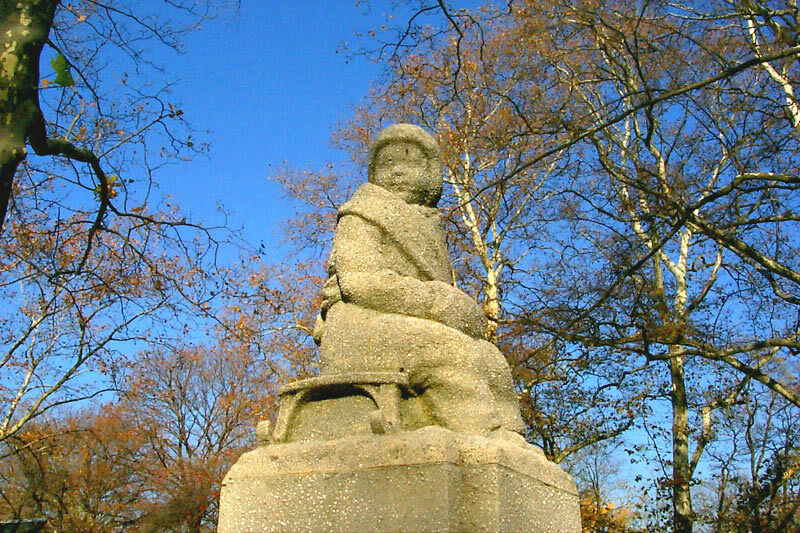 Separated by the gateway door, these stone figures of two young children in winter attire and sitting on sleds look to each other. What is a Snow Baby? One theory dates back to 1893 when polar explorer Admiral Robert Peary was living in Greenland. The birth of his newborn daughter Marie was called Ah-poo-Mic-kaninny, meaning "snowbaby" by the Eskimos, due to her snow-white skin. 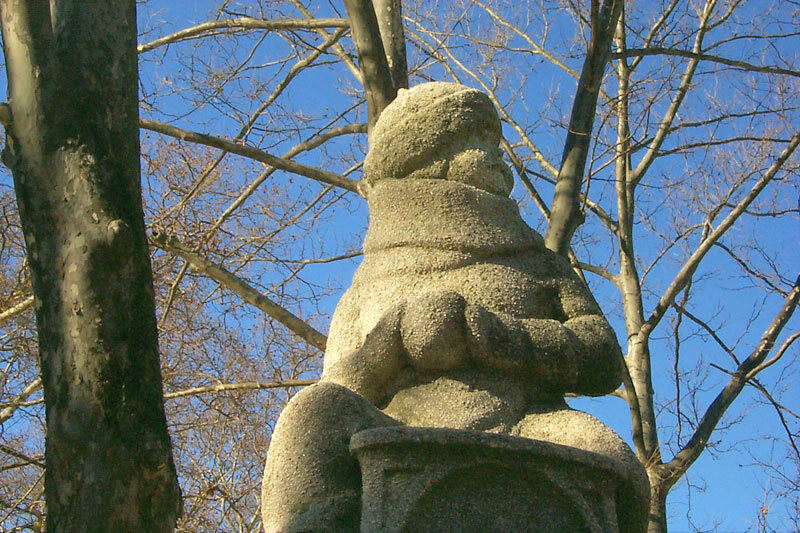 The second theory traces Snow Babies to late 19th century Germany when "sugar dolls" were a favorite confectionery decoration.